This project seeks to explore sustainable development of world heritage site in Yongding, China, in an effort of greater understanding of the community value systems and traditions upon which both the preservation of cultural heritage and tourism success in this community. 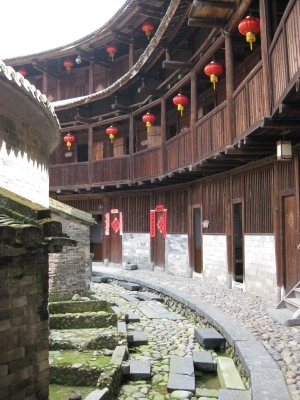 The project proposes to develop the sustainability of Yongding Tulou by investigating residents’ perception of capacity, personal value and social capital. 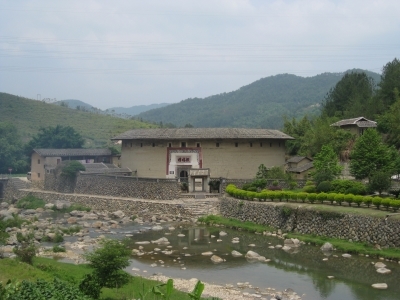 The goal of this study is to understand the operation scope of community sustainability and tourism development at Yongding Tulou and to provide for local tourism management with possibly more effective win-win strategies for both managers and local residents. Research team of this project is combined with faculty members and postgraduate students from Faculty of Hospitality and Tourism Management, Macao University of Science and Technology. The project will work with the Yongding government, Yongding tourism bureau to promote cultural-environmental sustainability in Yongding Tulou. Meanwhile, it is also an experiential learning program for postgraduate students’ academic training. The Yongding Tulou is a type of Chinese rural dwelling of the Hakka in the mountainous areas in southeastern Fujian, China which were mostly built between the 12th and the 20th centuries. 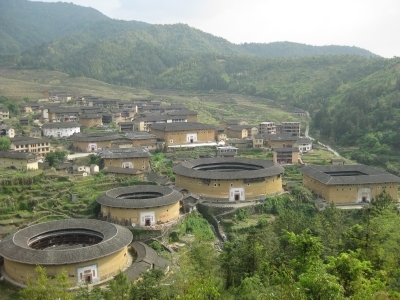 As the “exceptional examples of a building tradition and function exemplifying a particular type of communal living and defensive organisation in a harmonious relationship with their environment”, a total of 46 Fujian Tulou sites, including YongDing tulou groups have been inscribed in 2008 by UNESCO as World Heritage Site. Inscription as World Heritage Site induced great progress of tourism development in YongDing. In 2009, a year later to be World Heritage Site, more than 2 millons tourists visited YongDing tulou groups which produced nearly 0.9 billion of tourism income according to the annual statistic by YongDing tourism official. The tourism economy now is still keeping progress while conflicts and problems that are central on cultural heritage conservation, tourism profit distribution, community’s sustainable development, and many other issues which could threat the future of this World Heritage Site have arisen. Therefore, this study will try to use capacity, personal value and social capital as the devices to explore a possible path way for those challenges to achieve the sustainable development of the whole community.